When MS clouds your thinking, the right tools can help you cut through the “brain fog” and stay on task and on time. One is probably within reach right now: your smartphone. Program the alarm to beep when you need to take medicine or get the clothes out of the dryer. Enter appointments in the calendar and set it to alert you before its time to go. And jog your memory with the phone's email or camera. Send yourself a note or snap a photo to recall something later. If you're running errands and need to remember something, call your home or office and leave yourself a voice mail message. When you’re more relaxed later on, you can listen to it and recall what you need to do. Or carry a digital recorder instead. You can use it to note your to-do list or the name of someone you just met. If you have a smartphone, you probably have a voice memo app that can do this job for you, too. Carry a notebook and a pen with you every day. List all the things you need to do, places to go, and people to call. Note when you make or receive a call, who you talked to, and what you said. You can also jot down notes at your doctor’s appointments. When you keep details in one place, they’re easier to find later, which can cut down on anxiety and stress. Sometimes, it’s hard enough to keep track of your own schedule, let alone activities for your whole family. Keep it all together by using a whiteboard as a communications hub at home. List all your weekly tasks, and check them off as they're done. Include a family calendar with everyone's schedule on it and driving directions to special events. Don't forget to write down phone numbers you use often: your kids’ school, your partner’s office, or the babysitter. When you repeat details, you help your brain learn them and improve your odds of recalling them later. Try talking to yourself out loud when you’re doing certain tasks. If you always worry you’ll leave the kitchen burner on, say "I'm turning off the stove" each time you're done cooking. Do this out loud, over and over. Follow the same strategy to remember a new friend's name. Repeat their name when you talk to them: "Hello, Joe. What do you do, Joe?" A common trick to improve your recall: Connect thoughts or names to a picture in your mind. Focus on a specific feature of a person or event. For example, if a new colleague wears glasses, make a mental note of her name and glasses. Have a new route to work? Look at the map before you go and picture the roads and landmarks. Imagine yourself driving and what you'd see along the way. You can find a lot of “train-your-brain” programs online, but doctors aren’t sure how much they really help you build your memory and focus. But activities that regularly challenge your smarts may protect against MS-related thinking problems. 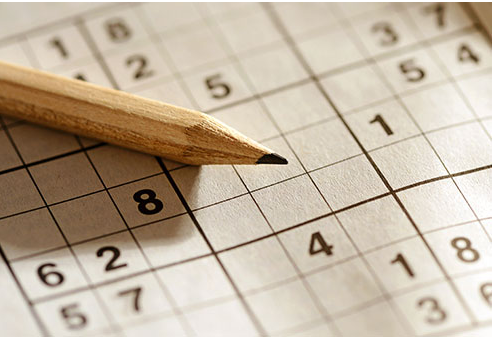 You can try crossword puzzles and some video or computer games to sharpen your mind. Reading is a good way to keep your brain engaged, too. Information overload is draining for anyone, but it can make MS brain fog even worse. So learn to subtract your distractions. Figure out things that can mess up your focus and learn ways to avoid them. Some quick tips: Don't multitask. Stick with one thing until you’re finished. Set a quiet time of day. Silence the hum, buzz, and ding of emails, texts, and phone calls -- and don't check them! A quiet hour or two each day helps your brain recharge. When you’re taking in a lot of details, slow down and don't try to do too much too fast. Always ask questions and repeat the information back to cement it in your memory. If you're comfortable doing it, ask friends and co-workers to speak slowly. Schedule complex tasks for times when you have the most energy and when your attention is sharpest. Those sweat sessions at the gym will keep your brain in tip-top shape, too. Research suggests that exercise can help your mind perform better when you have MS. One study found that 30 minutes of a heart-pumping activity three times a week leads to brain changes that may boost memory for people with the disease. But rest when you feel tired. Fatigue means more brain fog and can make other symptoms worse, too.